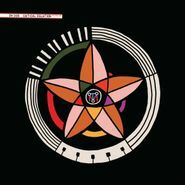 Dr. Dog revel in ‘60s folk rock harmonies, college rock grit, and sing-along-ready riffs on their tenth studio LP, Critical Equation. But there’s a darkness underlying this latest album, the melodies often rousing and amiable with an undercurrent of anxiety and longing floating quietly beneath the catchy choruses. The result is one of their strongest efforts to date. Frontman Scott McMicken has spoken of needing to blow up the band’s usual sound and delve into darker, more frightening corners — mission accomplished. Critical Equation is a solid listen that covers all the highs and lows of modern life.